With Sephora opening its doors in Sydney’s bustling Pitt Street Mall in December 2014, SHESAID joined in on the excitement on press day for the internationally recognised cosmetic store. 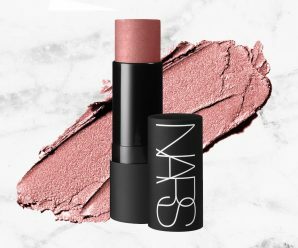 You may have heard about some of the exciting brands which will be on offer at Sephora Australia, with one of them being IT Cosmetics. 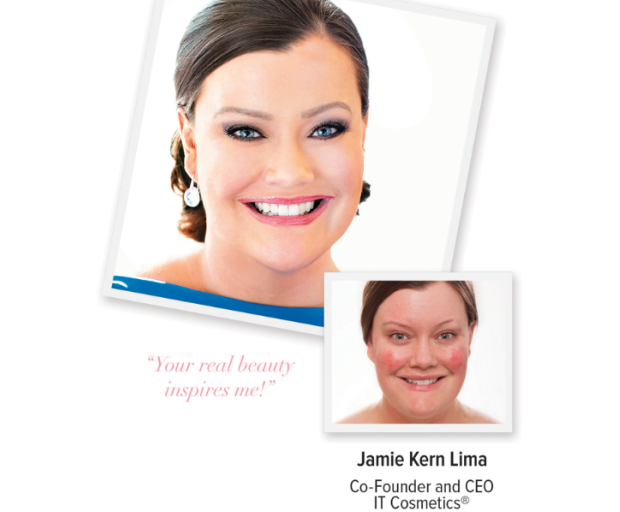 Founded by Jamie Kern Lima, the popular cosmetics brand is perfect for girls, mums, and even grandmothers! 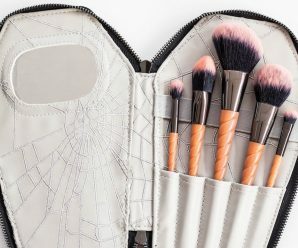 SHESAID had the wonderful opportunity to chat with Jamie herself, and get the latest information for the products you need by IT once Sephora finally opens its first Australian doors. Congratulations on being one of the makeup brands stocked in Sephora Australia this coming December. Could you tell us a little bit about how IT Cosmetics started? Thank you! IT stands for innovative technology, and we are a full-colour cosmetic line but we do things kind of differently. A lot of brands are makeup artistry, trend, or colour story, but we are more solutions-based. We won’t launch a product unless we believe that it is really innovative and different. In fact we have an advisory board of plastic surgeons and dermatologists so every product that we launch is super skin-loving, and solutions based. The Bye Bye Under Eye Anti-Aging Concealer, $38 is probably our most famous product – an under-eye concealer but you can also use it anywhere. It will give full coverage but it will never crease and never crack. Our YSBB (Your Skin But Better) CC Cream with SPF 50+ is also very different – it’s starts its life as a moisturiser, has SPF 50 in it (physical sunscreen so no chemical), and is also full coverage! We have full coverage pigments in a moisturiser which is really different because most makeup is sprinkled with a touch of skincare. We don’t launch a large number of shades, just a unique selection of products at a time. What are some of your all-time favourite products from the collection and why? What has been really cool is that some women in Australia have been posting about the Bye Bye Under Eye Anti-Aging Concealer and spreading the word a little bit, but they can never get a hold of it! And now we’re finally here and exclusive to Australia. I think Bye Bye Under Eye Anti-Aging Concealer is life changing because it gives coverage, but women that usually need the coverage hate using concealers because you can see them. Yes, exactly! So this product gives the best coverage but looks like real skin. Our YSBB (Your Skin But Better) CC Cream with SPF 50+, $58 is also amazing – we never launched a BB cream but there’s actually not that much coverage with a BB cream. What is the difference between a BB cream and a CC cream? Tinted moisturisers have been around forever and they’re basically moisturisers with a tiny bit of tint added into the formula. BB creams are kind of similar but they do sometimes have a few more skin-loving ingredients instead. 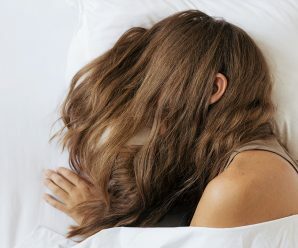 In Asia they started Blemish Balms to treat primarily blemish-prone skin, and they’re great but a lot of women need more coverage and more steps. So we wanted to create a product that would be your one and only step – CC stands for colour correcting and not all CC Creams are full coverage either. We tried to create the first full-coverage CC Cream which starts off as a moisturiser, and then has been infused with full-coverage and also a high SPF of 50. It really is the one-step product for women who basically have 30 seconds to get ready – you put one pump, smooth it on your skin and you have full coverage, SPF, and skincare in one complete step. We’ve seen a lot of It Cosmetics products being reviewed by beauty guru’s all over YouTube. Do you think the impact of social media is a good or bad thing for a makeup brand? It’s great! 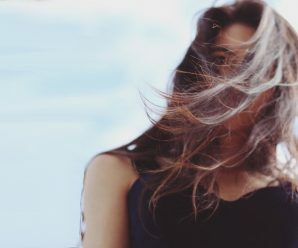 I truly think that so many women and girls have so much going on in their life, and they do forget that they’re important and beautiful. One thing that’s cool about YouTube is that it makes beauty an experience and it’s definitely fun to watch. I don’t wear goth makeup but I would totally have fun watching someone do it! It just makes it an experience, which is also what’s really cool with Sephora. You can walk into the store and experience everything at once, which is different from any other retailer. But also I think that social media has also been key to getting the best attention to really special products. When we were a smaller brand we couldn’t actually afford to advertise or anything else, so it was women on social media who recorded these testimonials saying that they really loved the product. Rather than just searching it online, when you see someone else demonstrate, you can really understand how the product applies, what it looks like, and how to use it. There is something really therapeutic about watching someone else do their makeup..
Could you share just some of your tips for a flawless foundation application? Use IT Cosmetics! We have a full colour-line, but we are actually most well known for complexion and for products that even if you need a lot of coverage, it will look like your skin. My biggest tip is don’t use anything that doesn’t look like your real skin. There are a lot of products out there that say they’re full or even medium coverage, but they look like makeup! Even if you need coverage, all of our products will look like your own beautiful skin – not like makeup. The main ingredient in most powders is talc, and as soon as you put them on, you instantly see powder, creases, and cracks. Especially if you have acne, the powder grabs on and draws so much attention to the area, rather than concealing it. 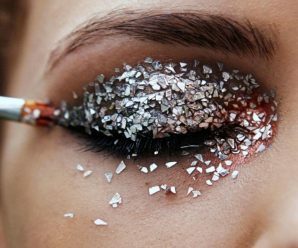 A lot of mineral makeup is actually loaded with bismuth which makes women break-out, and you would never think that considering it’s natural and organic-based. Use complexion products that look like your real skin, skin-loving, and that are the right shade for your skin! 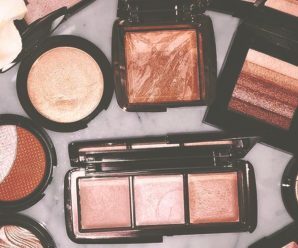 I truly think that if a product is superior, then it won’t work for you, I don’t think you need to follow a routine to achieve flawless makeup – it should just look good. That is also the main reason which sets apart our YSBB (Your Skin But Better) CC Cream with SPF 50+ from most products on the market.